My birthday was last Saturday and mom made this gorgeous and delicious tasting fruit tart. I normally request Mrs. Kelm’s chocolate cake (it’s a classic), carrot cake or Oreo cheesecake, but I was in the mood for fresh fruit since the weather in Dallas has been so warm….it feels like Spring already! This was a new recipe for us to make from The Barefoot Contessa, one of my favorite Food Network Chefs. 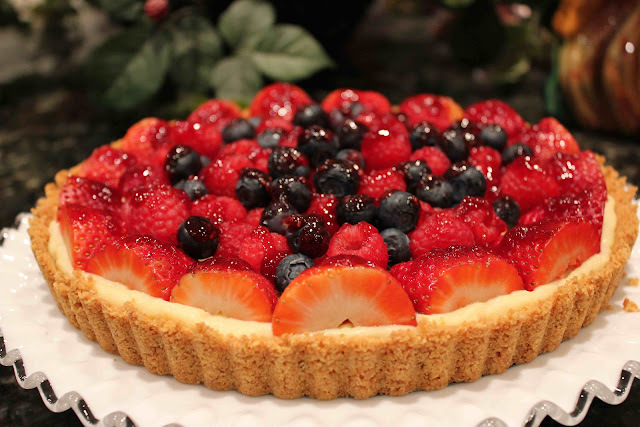 The tart was light, creamy, sweet, and semi-healthy with all the fruit. My mother-in-law said the filling tasted like cheesecake. In less than 2 weeks, we’ll officially be introduced to Spring, so bookmark this recipe so you can try it! Enjoy! 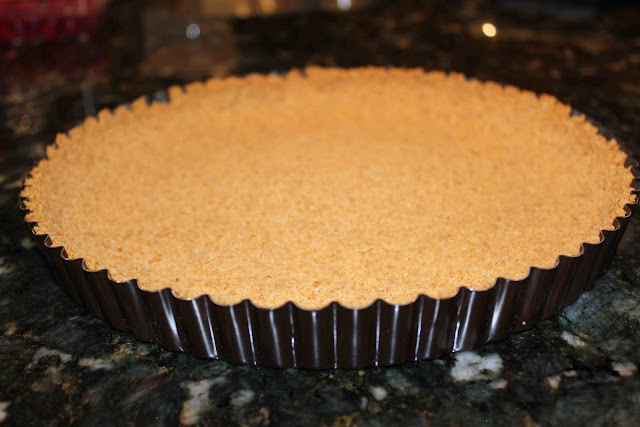 Combine sugar, graham cracker crumbs and butter and bake for 10 minutes in a 350 degree oven. Prepare filling and refrigerate until cold. Pour filling into baked and cooled tart shell. Drizzle raspberry jelly (thinned with hot water) as a glaze and dig in! 1. For the Crust: Preheat the oven to 350 degrees. Combine the graham crackers, sugar, and butter in a small bowl and mix well a wood spoon. Lightly press the mixture into an 11-inch tart pan with removable sides. Bake for 10 minutes and set aside to cool. 2. 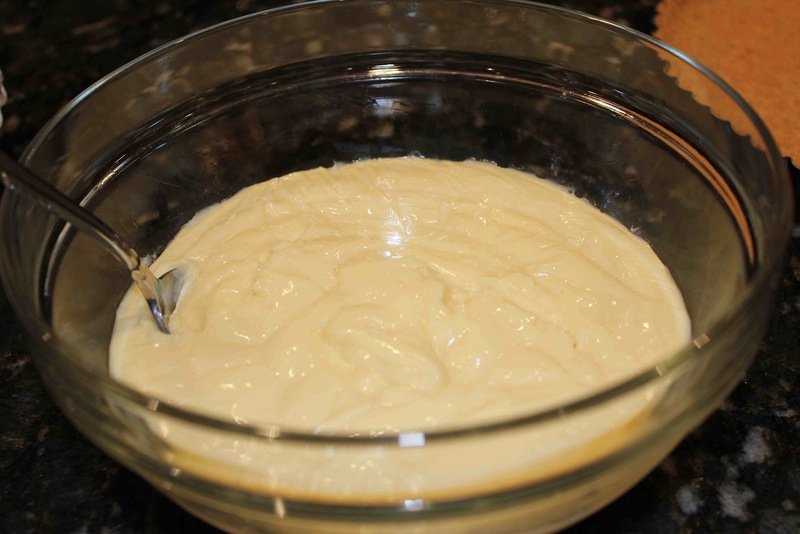 For the Filling: In the bowl of an electric mixture using a paddle attachment on medium-high speed, beat egg yolks and sugar until mixture is pale yellow and falls back into the bowl in a ribbon (about 3 minutes). 3. On low speed, beat in cornstarch. 4. Bring mik to a boil in a large saucepan and, with the mixer on low, slowly pour it into the egg mixture. Then pour mixture back into the saucepan. 5. Cook over medium heat, stirring constantly with a whisk or wooden spoon, until mixture is thick, bringing mixture slowly to a boil. 6. Once mixture is to a boil, cook for 2-3 minutes longer. Remove from heat and mix in butter, vanilla, cream and Cognac (optional). 7. Strain into storage container. 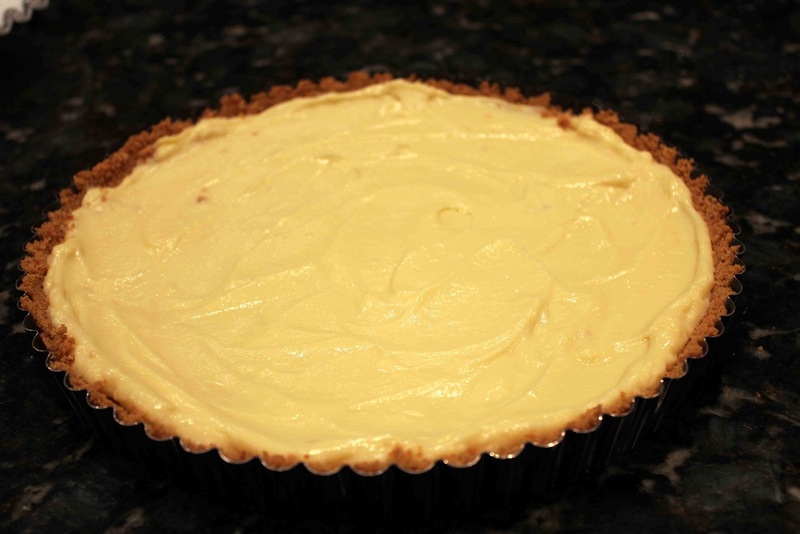 Place plastic wrap on top of the pastry cream and refrigerate until cold. 1. 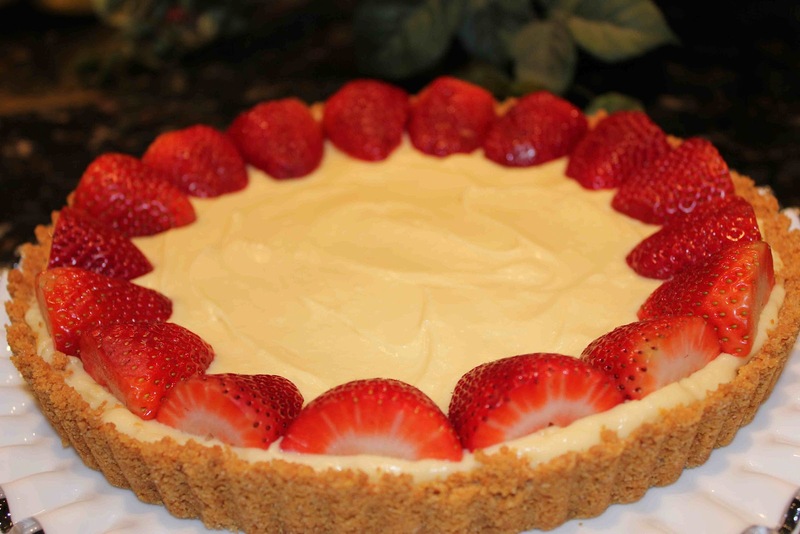 Fill tart shell with pastry cream. 3. Optional: Brush with glaze (melted apricot or raspberry jelly thinned out with hot tap water) to make it look shiny and pretty!